You are currently browsing the The Pet Product Guru blog archives for the day Sunday, November 8th, 2015. In some cases, dogs won’t any symptoms. Some will develop blue eye. This is a bluish discoloration of the cornea of the eye. 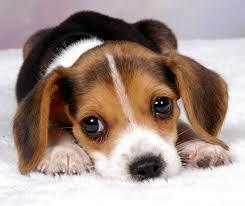 Puppies become very ill from the disease and must be treated immediately. They will develop internal bleeding, liver disease, tonsillitis, and general inflammation of the eyes and mouth. If left untreated, the pup will quickly deteriorate to shock and death. Veterinarians can treat the disease by good supportive therapy, intravenous fluids, good diet, rest, medicines to lighten the liver’s workload, and good care all aimed to strengthen the dog’s ability to recuperate. They will also give antibiotics to treat secondary infections. There is a vaccine for this disease and the cases of canine hepatitis in the United States are low. Therefore, the best way to keep your dogs free from this disease is to keep him updated on his vaccinations and schedule periodic visits with your vet. For your music, they THE EDGEWATER INTERNET RADIO NETWORK. Six great stations playing the most music!